Missouri History Museum employees dig through ash and scrap metal for artifacts on Thursday at the burned-out Fashions R Boutique in Ferguson. 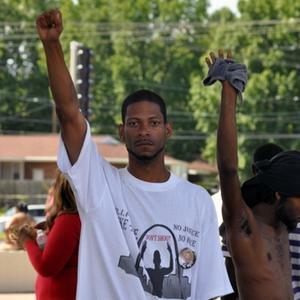 The Missouri History Museum and Washington University are making sure artifacts from Ferguson are preserved. Washington University is saving media captured and created since Michael Brown’s death on Aug. 9 in Ferguson. In addition to a lot of photos and video, that also includes minutes from community meetings, stories and art, Shannon Davis, digital projects librarian at the university, told “Cityscape” host Steve Potter on Friday. 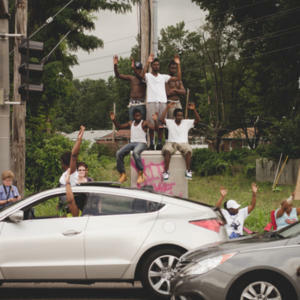 The university created Documenting Ferguson, a digital repository, in August. "Cityscape": Christopher Gordon and Shannon Davis discuss their efforts to preserve Ferguson artifacts. The Missouri History Museum is collecting physical artifacts through its Ferguson Collecting Initiative. 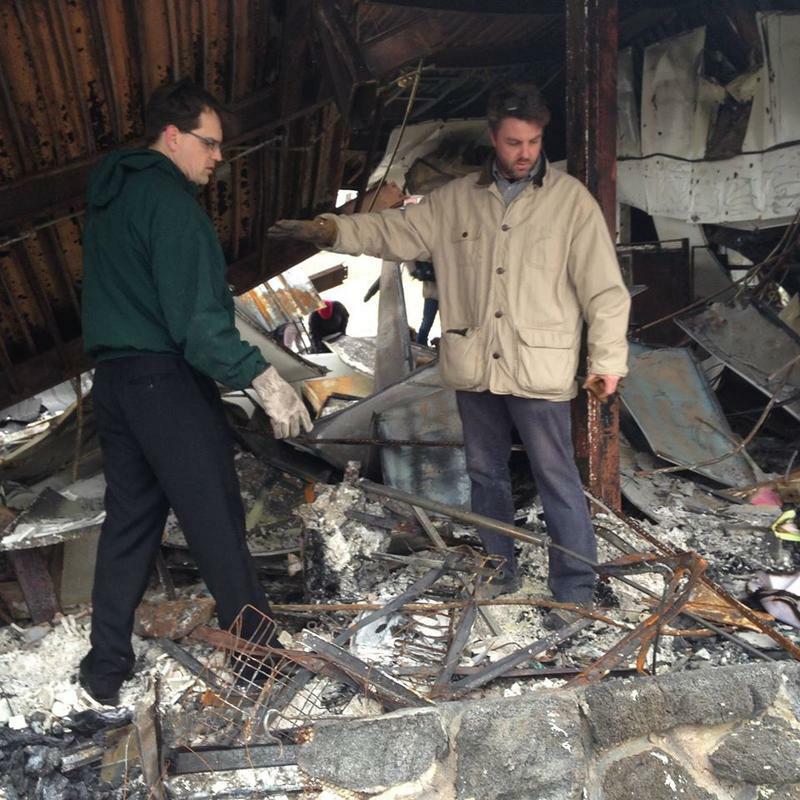 On Thursday, the museum’s collections staff visited a burned-out business in Ferguson, looking for artifacts to add to its permanent collection. “It was a unique opportunity to collect artifacts from the present, really, that we hope will represent history in the future,” said Christopher Gordon, library and collections director at the museum. The museum and the university are seeking artifact donations, which may include protest signs, fliers, T-shirts and other memorabilia. The Washington University library has not yet decided what it will do with its collection. Davis said it will be used as research and in teaching, but the staff is just starting to figure out what’s next. The history museum also will use its collection for research. Some pieces also may appear in future exhibits. To add items to Washington University’s Documenting Ferguson, visit digital.wustl.edu/ferguson. To add items to the Missouri History Museum’s Ferguson Collecting Initiative, visit support.mohistory.org/pages/artifact-donations, or call 314-746-4599. Owner of Fashions R Boutique, Juanita Morris was stunned when she got the call that her shop was on fire.